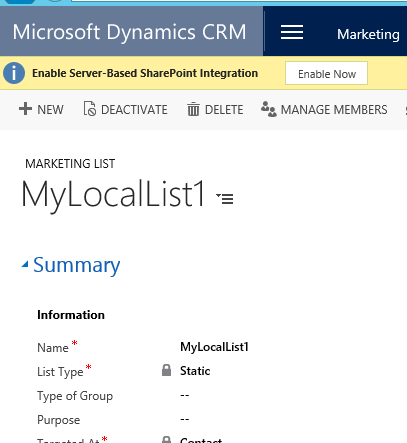 For more info on Managing Identities in Dynamics CRM, I will be giving a presentation on the MIM Usergroup on April 11th. To join the usergroup and attend the meeting please visit the above link. // The using statement assures that the service proxy is properly disposed. // Get the market list.